There are more than 50 Faygo flavored pops. Taste one of each cupcake to guess the flavor. To help you narrow it down, we have given you 3 choices for each cupcake. I gave the contest winners an “F:” the best letter grade under the Faygo grading system. I gave the librarians a gold star for creativity. Faygo and cupcakes go way back. 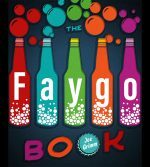 As “The Faygo Book” recounts, Faygo got its start when Perry Feigenson, who had owned a bakery in Detroit and his brother, Ben, turned cake frosting recipes into grape, strawberry and fruit punch pop.